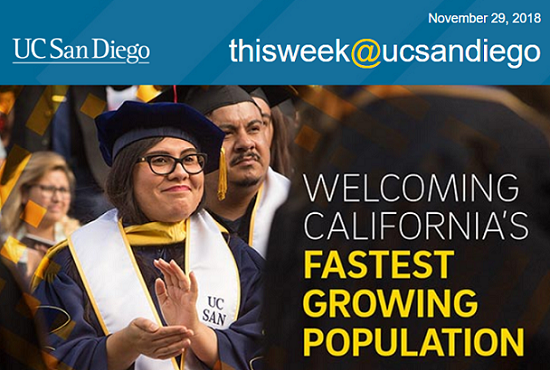 Today, Latinx/Chicanx students are among the fastest growing population in California. To advance its goal of inclusive excellence, UC San Diego is launching the Latinx/Chicanx Academic Excellence Initiative. The campuswide program, led by the Office for Equity, Diversity, and Inclusion, unifies and expands services dedicated to attracting and supporting a diverse faculty, staff and student community. 2018 Women's Conference: Be Bold For Change! UC San Diego Extension's "Alumni Change the World" Scholarship Winner: "I'm Trying to Make the Most Out of My Opportunities"